MarineGEO research addresses how and why biodiversity is changing, how that influences ecosystem processes important to people, and how to use this knowledge to better inform management for resilient marine ecosystems. The research complements existing ocean observing programs but fills a critical void with its unique focus on biodiversity, seafloor (benthic) communities, nearshore areas where biodiversity and people are concentrated and interact most, and standardized methods that facilitate rigorous global comparative analysis. MarineGEO is also unique in its focus on collaborative partnerships and on coordinated experiments as a powerful means for identifying the causes and consequences of environmental and biodiversity change. SERC is home to MarineGEO's Chesapeake Bay study site, where research focuses on soft sediment, submerged aquatic vegetation, marsh, oyster reefs, and woody debris habitats. Fieldwork is accomplished in collaboration with many of SERC's research labs, and builds upon our strong foundation of long-term studies and experiments. For more information contact site Principal Investigators Dr. Matthew Ogburn or Dr. Whitman Miller. Submerged Aquatic Vegetation (SAV) provides critical habitat for fish and invertebrate species, and can play important roles in carbon and nutrient cycles. MarineGEO collects different types of SAV from sites around the world. At the SERC site, researchers dive in the Chesapeake Bay watershed to have a better idea of the seagrass coverage in different areas of the Bay and associated rivers that connect to it. Scientists SCUBA dive in the Rhode River to collect SAV data within 1m2 quadrats in randomly selected areas at three different sites. They assign a percentage to the amount of SAV present, then collect the SAV in a portion of the quadrat to take back to the lab. 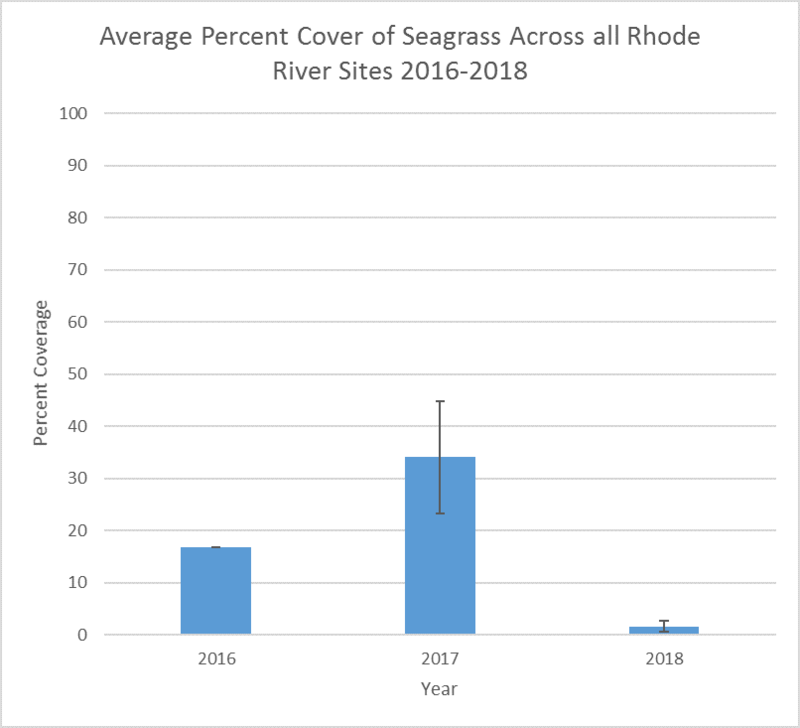 SAV is one important habitat that SERC has not studied long-term in the Rhode River. The goal of this project is to begin to explore the role of SAV in our local ecosystem. Settlement plates are 6 in2 PVC plates that provide a place for marine organisms to settle and grow. For this project, PVC pipes stand vertically in the water to hold the settlement plates horizontally above the river or ocean floor. 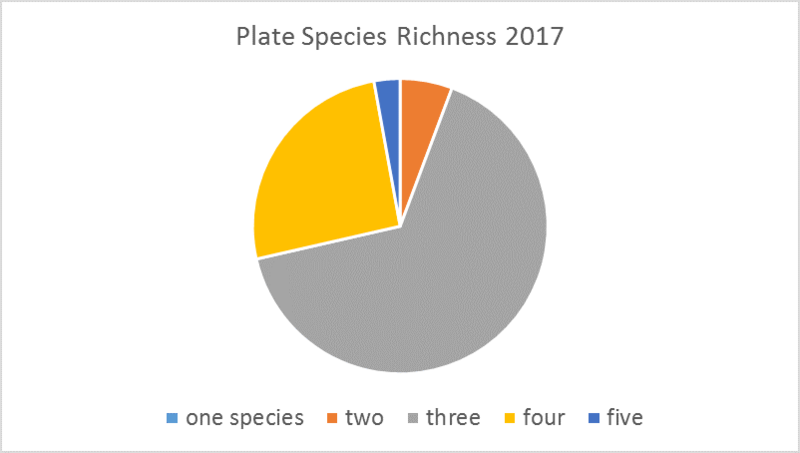 At SERC, we deploy plates in June, photograph them monthly, and collect them in September. Each plate is placed under a microscope to identify how many and which species are present. Then we scrape the biological material off the plates and weigh it to see how much biomass was actually present. 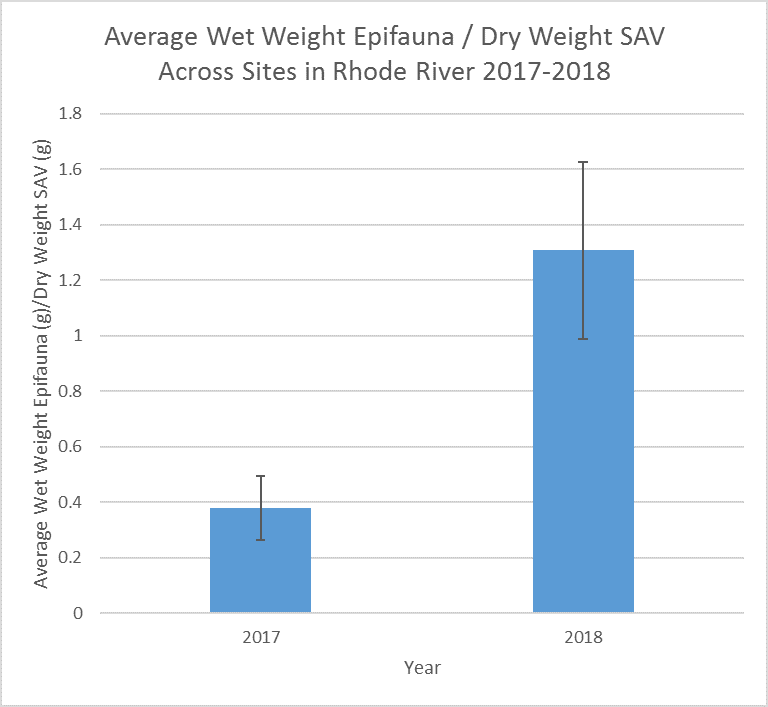 In the Rhode River, growth on our plates is dominated by Victorella pavida and Corophium lacustre, and it is unusual to find more than four or five species. 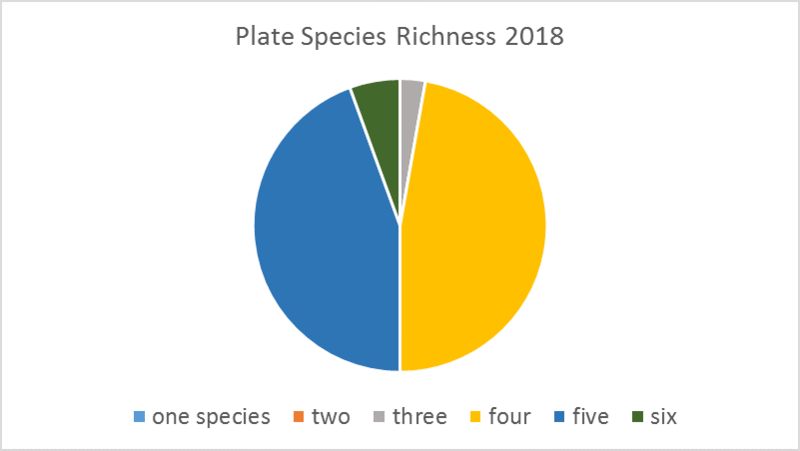 In subtropical (Florida) and tropical (Panama) locations, the diversity of species settling on plates is higher, but the biomass is usually lower. This simple settlement assay can show us results as basic as regional biodiversity and as complex as results of climate change as the study continues over time. A “squidpop” is a simple tool for scientific research. It consists of a small metal stake, a miniature buoy float if the water is too murky to see the stake, and some fishing line. Researchers attach a small, circular cutout of freeze-dried squid to a piece of the line and tape it securely to the stake. Once the squidpops are built and ready to go, we deploy them around the Rhode River in multiple habitat types, such as bare bottom and coarse woody debris environments. The stakes are usually deployed at depths around 1 meter so that the squid pieces are fully submerged, even at low tides. We check the squidpops for activity after one hour and mark each piece of squid as “present” or “absent.” Squid that is still intact is checked again after 24 hours. 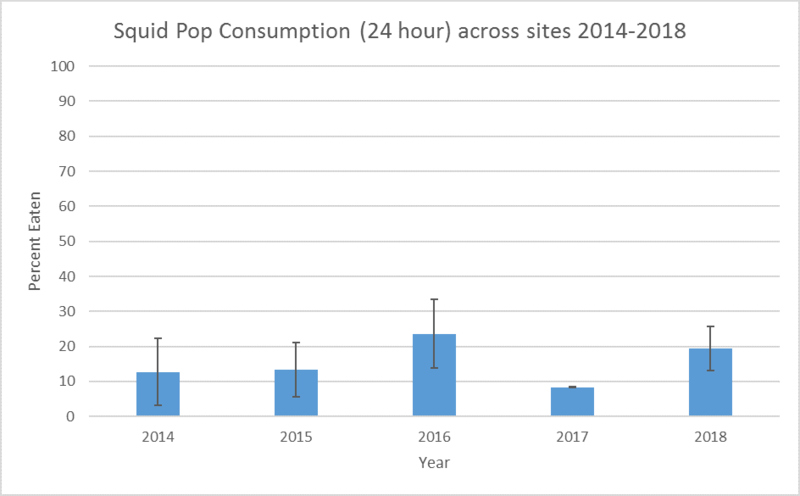 The squidpop provides a standard measure of consumption pressure across a range of sites. In locations with clear water, they may be accompanied by video footage to identify the consumer, but at SERC the water is too turbid for filming. 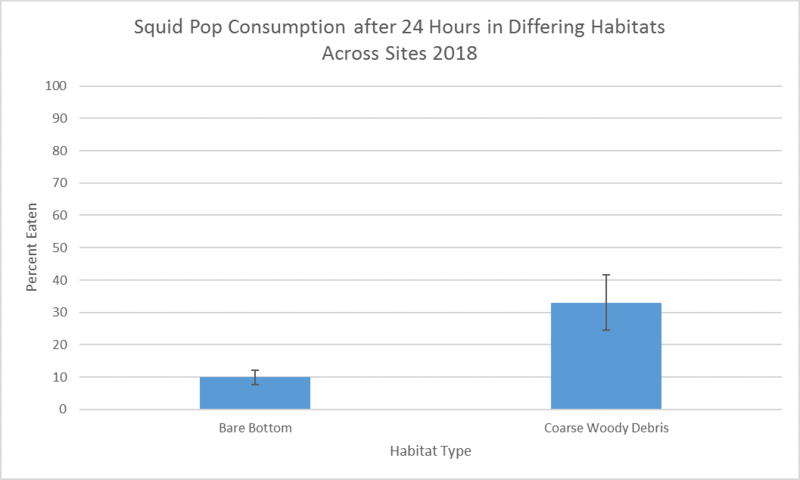 Still, by monitoring squidpops, one can document how prevalent meat-eating creatures are, and how quickly food in the Bay area disappears, which may provide insight into competition and the assumed availability of other sources of food in the ecosystem. Pagenkopp Lohan, K. M., Hill-Spanik, K. M., Torchin, M. E., Fleischer, R. C., Carnegie, R. B., Reece, K. S., Ruiz, G. M. 2018. Phylogeography and connectivity of molluscan parasites: Perkinsus spp. in Panama and beyond. International Journal for Parasitology, 48:135-144. Staataerman, E., Brandl, S. J., Hauer, M., Casey, J. M., Gallagher, A. J., Rice, A. N. 2018. Individual voices in a cluttered soundscape: acoustic ecology of the Bocon toadfish, Amphichthys cryptocentrus. Environmental Biology of Fishes doi: 10.1007/s10641-018-0752-0. Clark, B., Long, W., Tzortziou, M., Neale, P. J., Hood. 2018. Wind driven dissolved organic matter dynamics in a Chesapeake Bay tidal marsh-estuary system. Estuaries and Coasts 41:708-723. Nelson, N. G., Munoz-Carpena, R., Neale, P. J., Tzortziou, M., Megonigal, J. P. 2017. 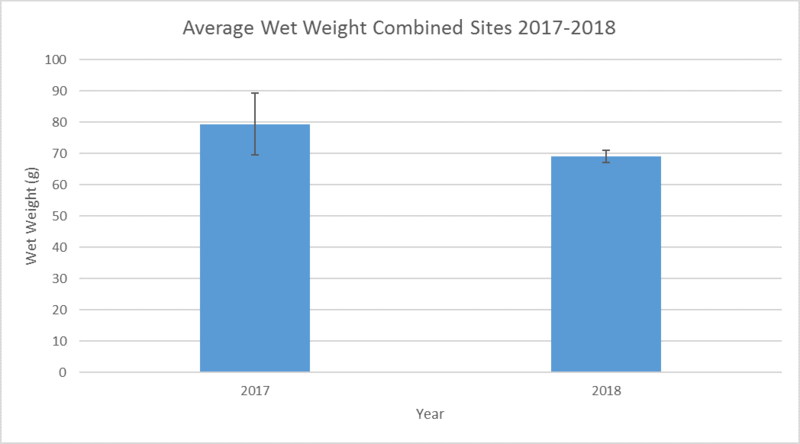 Temporal variability in the importance of hydrologic, biotic, and climatic descriptors of dissolved oxygen dynamics in a shallow tidal marsh creek. Water Resources Research 53:7103-7120. Wessel, B. M., Rabenhorst, M. C. 2017. Identification of sulfidic materials in the Rhode River subestuary of Chesapeake Bay. Geoderma 308:215-225. Janiak, D. S., Adams, J. N., Rubinoff, B., Osman, R. W. 2017. Predator-prey interactions of the polyclad, Euplana gracilis, and the amphipod, Apocorophium lacustre, in the Chesapeake Bay. Estuaries and Coasts 40(2):513-521. Pagenkopp Lohan, K. M., Fleischer, R. C., Torchin, M. E., Ruiz, G. M. 2017. Protistan biogeography: A snapshot across a major shipping corridor spanning two oceans. Protist 168(2):183-196. Rodemann, J. R., and Brandl, S. J. 2017. Consumption pressure in coastal marine environments decreases with latitude and in artificial vs. natural habitats. Marine Ecology Progress Series 574:167-179. Staaterman, E., Ogburn, M. B., Altieri, A. H., Brandl, S. J., Whippo, R., Seemann, J., Goodison, M., Duffy, J. E. 2017. Bioacoustic measurements complement visual biodiversity surveys: preliminary evidence from four shallow marine habitats. Marine Ecology Progress Series. 575:207-215. Brandl, S. J., Casey, J. M., Knowlton, N., Duffy, J. E. 2017. Marine dock pilings foster diverse, native cryptobenthic fish assemblages across bioregions. Ecology and Evolution 7:7069-7079. Pagenkopp Lohan, K. M., Hill-Spanik, K. M., Torchin, M. E., Aguirre-Macedo, L., Fleischer, R. C., Ruiz, G. M. 2016. Richness and distribution of tropical oyster parasites in two oceans. Parasitology 143:1119-1132. Duffy, J. E., Ziegler, S. L., Campbell, J. E., Bippus, P. M., Lefcheck, J. S. 2015. Squidpops: A simple tool to crowdsource a global map of marine predation intensity. PLoS One doi: 10.1371/journal.pone.0142994. Pagenkopp Lohan, K. M., Hill-Spanik, K. M, Torchin, M. E., Strong, E. E., Fleischer, R. C., Ruiz, G. M. 2015. Molecular phylogenetics reveals first record and invasion of Saccostrea species in the Caribbean, Marine Biology doi: 10.1007/s002277-015-2637-5.